We love to do cruises – once onboard, you need not bother with luggage transfers and immigration procedures when you arrive at each cruise stop and you need not worry about keeping yourself occupied onboard the cruise ship as there is so much food you can try onboard and the nightly theatre performances you can enjoy. 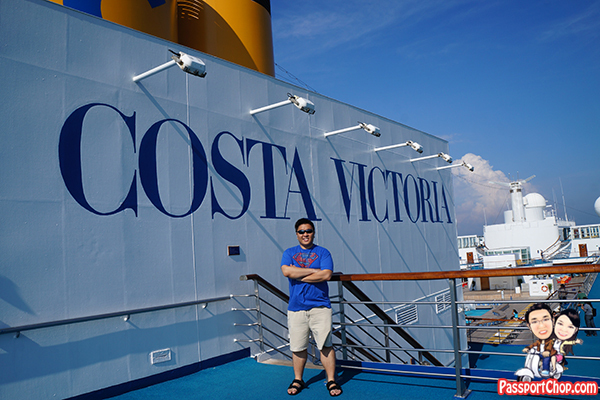 Sometimes there are themed cruises which makes the entire cruise experience unique and fun – one such themed cruise is that of Costa Cruises with its Carnival of Venice at Sea theme for guests sailing on Costa Victoria from Singapore between November 8, 2014 and January 6, 2015. Venice is one of my favorite destinations and I was curious to see how they replicate the whole Venice Carnival experience onboard the cruise ship. Just some background info – the Carnival of Venice is an annual festival held in Venice where there are celebrations filled with musicians, acrobats, clowns, magicians, puppeteers, beautiful masks, elaborate costumes and parades. Although Costa Victoria is an 18-year old cruise ship (since 1996), it did not feel that way – likely because of a significant ship refurbishment in 2004. 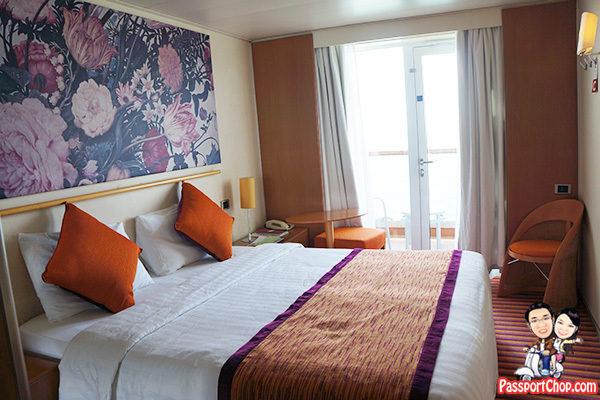 As you can see from our cabin – Balcony Classic Stateroom onboard Costa Victoria, the interiors are of modern contemporary decor with a veranda (balcony) to enjoy views of the ocean. The queen-sized bed comprises 2 single beds tied together. Enjoying views of the sunset and sunrise from our veranda – there are 2 porch chairs and a small table to chill out by the sea (perhaps more during the evenings – as it can get quite hot under the midday sun). You have a choice of ala carte or buffet dining for breakfast, lunch and dinner. For dinners, I suggest going for the ala carte dining. The dress code is formal (by right) but it is ok to dress down e.g. Tshirts, jeans. Although they explicitly stated “In the Restaurant, we kindly ask that you do not wear shorts or bermudas” in the daily programme sheet, I have not seen them turn away anyone dressed in shorts/bermudas – I had wore bermudas to dinner at Fanatsia Restaurant (ala carte dining) on Day 4. 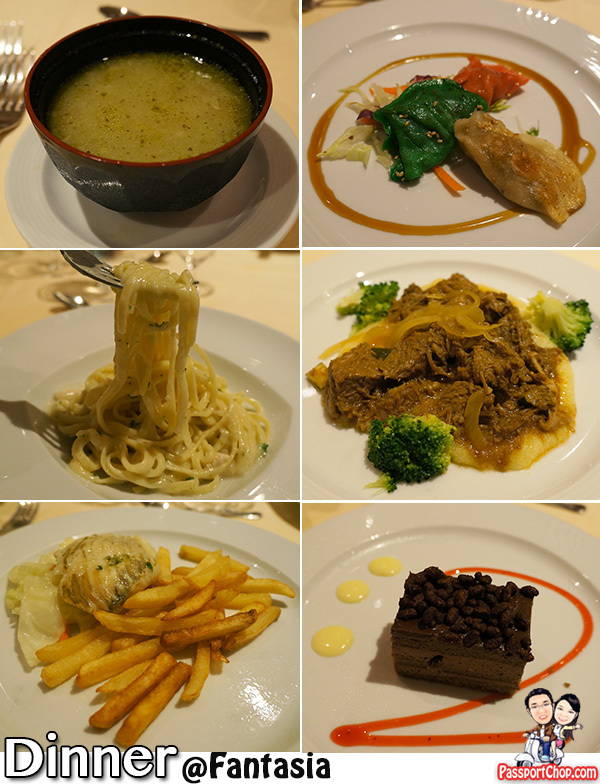 The picture below shows our Venetian dinner feast – Venetian style bean soup, pan fried meat and vegetable dumplings, Linguini pasta with Alfredo sauce, braised beef ragout “Venetian-style” etc. The food was ok – an opportunity to try Venetian food; the service was great too as the waiters will try to accommodate dietary requests as much as possible. What I like especially is the flexibility in dining options – even if Italian/Venetian food is not what you like, there are other options on the menu that will likely meet most palates e.g. steamed rice, grilled Halibut fish fillet served with french fries, sambal chili sauce. 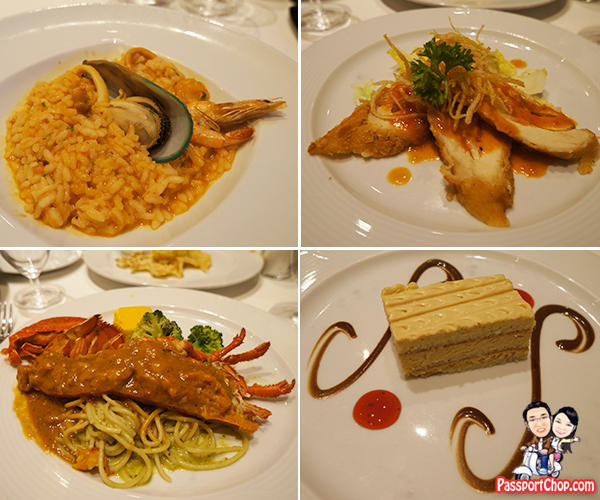 This was the Gala Night dinner (again – ala carte dining at Fantasia Restaurant) – Italian risotto and oven baked lobster! Upon boarding the Costa Victoria, you will be welcomed by festivities and celebrations in the spirit of Venice’s festivities. This will culminate into a Carnival of Venice Party on Day 3 (the evening when we departed from Phuket for Langkawi). 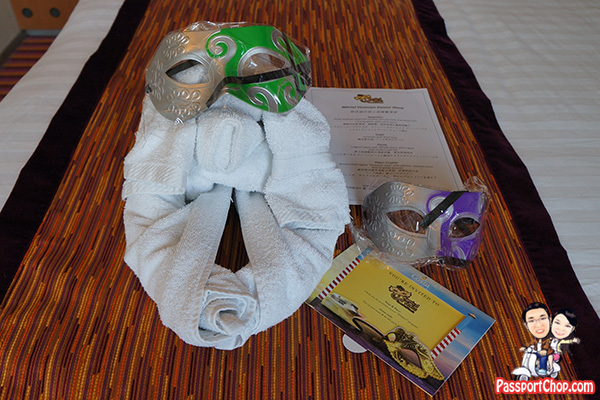 Each guest is provided with a complimentary Venetian mask (quite a nice one and pretty sturdy too!) in their room together with a preview of the Venetian dinner menu and a foldout photo frame to hold their memories of the night. We also received a folded towel dog in our room after we return from our day out in Phuket. I have no pictures of the Carnival of Venice Party here but I can say it is very happening as guests and staff wore their Venetian masks (some even brought their own unique masks in preparation for the cruise) and some were even dressed in distinct Venetian costumes! There were lots of dancing and music and fun facilitated by the Costa Victoria live band and Animation Team. There were unique performances for each night of the cruise – we caught them all from the “Rich and Famous” musical to acrobat performances. My favorite is the “Michael Jackson Tribute” performance – excellent work by Ice – a famous Michael Jackson impersonator from Las Vegas. 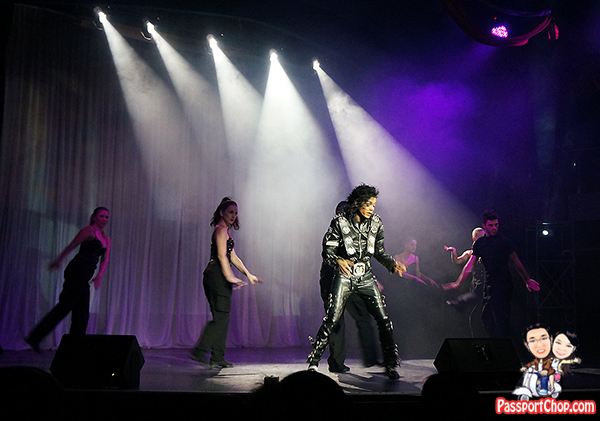 Very good dance moves, realistic costumes and singing – almost as if you are at a Michael Jackson concert. He even conducted a short dance course showcasing Michael Jackson’s dance moves the next day! 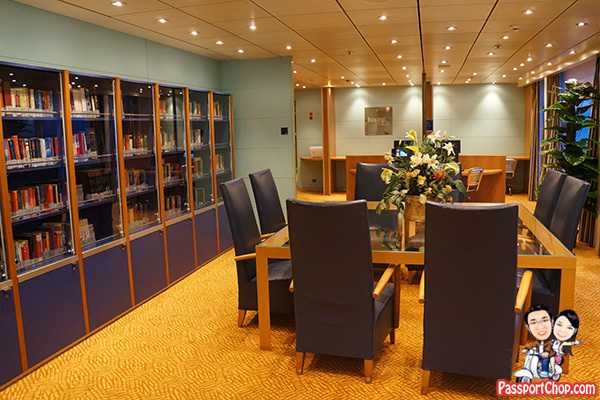 … or relax with a book at the Deck 12 Butterfly library – there are also computer terminals in the library which you can surf the net from (Internet connection is chargeable – not cheap; cheapest option is US$24 for 3 hours). In-room Wi-Fi is also available (at the same rate I mentioned above – no cheaper daily rate available). Maybe it is the nerd in me but I enjoyed participating in Costa Victoria Quiz – there are quite a number of quizzes held throughout the cruise duration and each quiz revolves around a theme e.g. Movie, Music and General Knowledge. 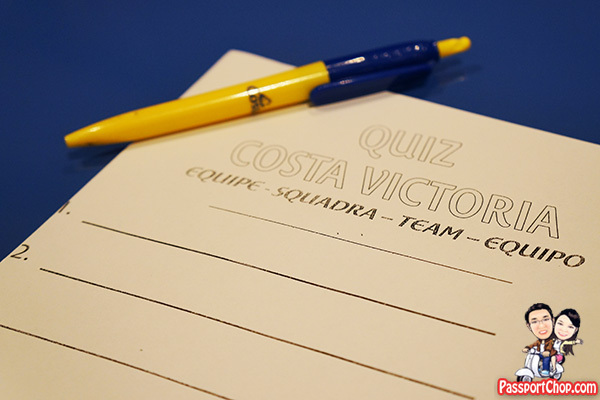 The top scorers (not limited to one winner) for each quiz will win Costa souvenir – I won a notebook (not the laptop – the paper one), reusable shopping bag, lanyard from a few quizzes onboard! I also did a Bamboo Massage at the onboard Pompei Spa – look out for promotions in the daily programme sheet – I saw a 50% discount for Bamboo Massage on Day 3 so I immediately booked an appointment with Pompei Spa upon returning from my day trip in Phuket. The masseur used heated bamboo sticks to perform deep tissue massage which was supposed to reduce tension (after a long day shopping and eating in Phuket) and improve blood circulation – it was quite effective and relaxing. 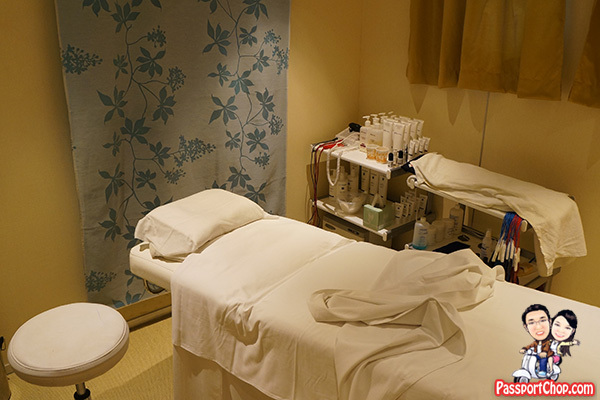 The Bamboo Massage treatment (50 minutes) usually cost US$160 – with the 50% discount, it was just US$80. 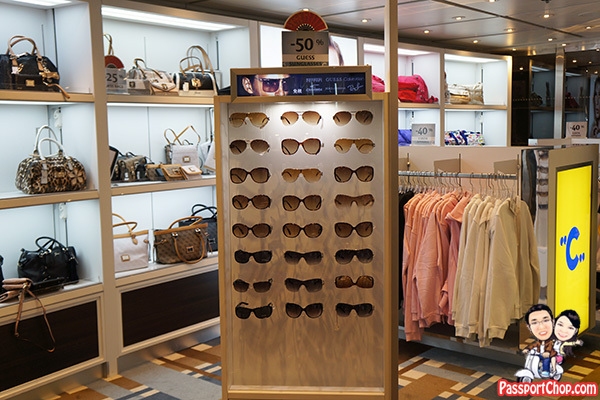 Shopping onboard Costa Victoria – lots of tax free shopping options – I find the cosmetic products, watches and jewelry quite competitively priced – there are bazaars held on certain days where more discounts are given for various products. 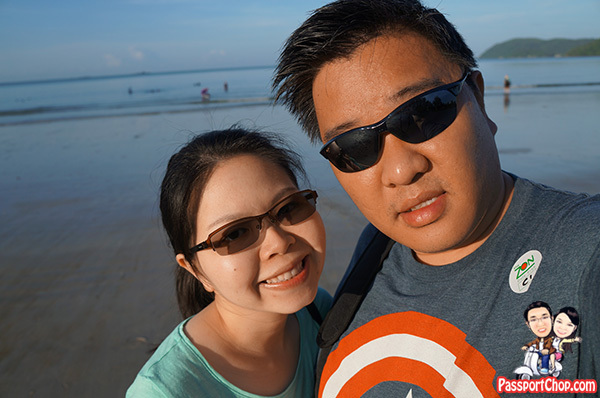 I will share more about our day trip experience at Phuket in a later post. 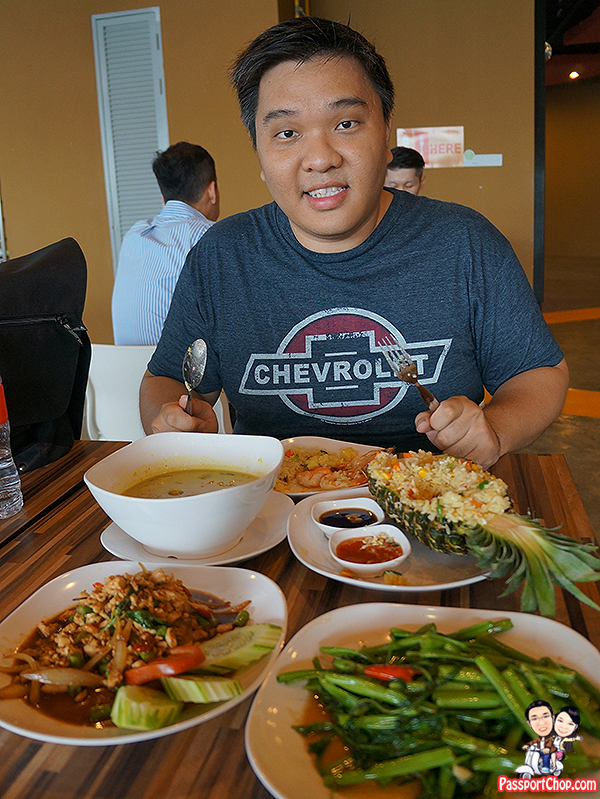 We had a great time shopping and eating in Phuket – lots of local produce to buy and Thai food to try! 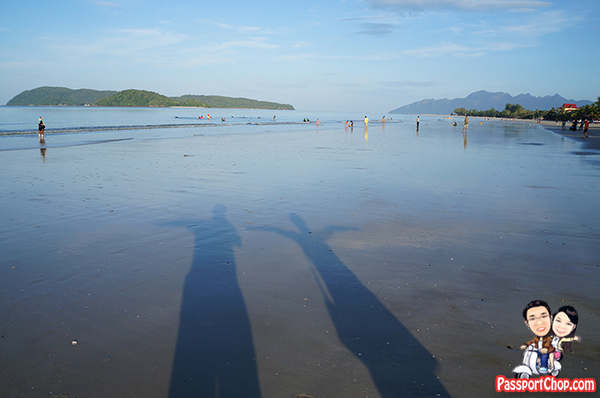 Langkawi was a short stopover – we took the Costa Victoria shuttle bus (US$8 per person for round trip to Pantai Cenang tax-free shopping area and Pantai Cenang beach). If you have a group of 4 or more, probably more economical to take a taxi from the port where you disembark – there are a lot of taxis around the port. Your post came at the right time. My family and I will be going for the same cruise next week – January 2nd 2015. Been looking for reviews – the ones I’ve read so far were full of negativity I am starting to doubt the worthiness of the trip. How was the overall service? Previous reviews said the service was poor, staff unfriendly, etc. How was the checking in process? Was is a hassle? Long wait? How did you navigate your trip in Phuket? There are about 20 of us travelling together. Would appreciate any tips from you. I noticed that there were quite a number of bad reviews of Costa Victoria (mainly for 2013 and earlier cruises) on Tripadvisor so I was quite concerned too. 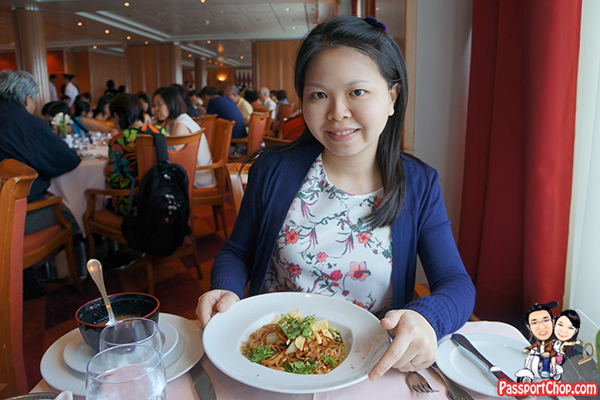 Everything turned out well for me – I think they acted on the feedback and also I managed my expectations of the cruise food and experience. The service of the staff from waiters to cabin staff was excellent – I couldn’t ask for more. 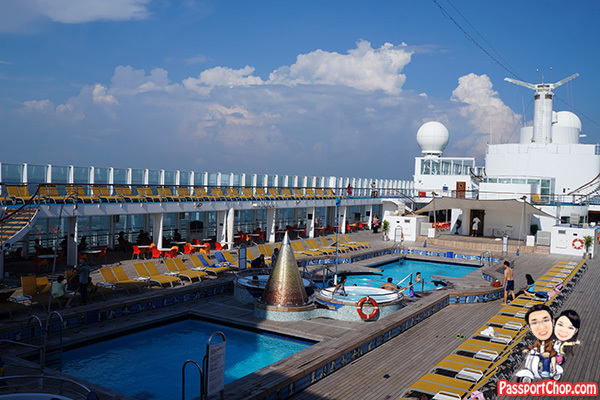 Facilities-wise, the cruise is quite limited – no mini golf course, rock climbing wall etc but given that this is a 1996 ship (refurbished in 2004), it was alright. The check-in process was another common negative feedback I read about. Now they are much more organised. Passengers are given boarding timing depending on the time they checked in for the cruise at Harbourfront Cruise Terminal e.g. I checked in at around 6pm and was told to board at 9pm (but I went back at around 8pm and I was able to board without any queues). I will also be publishing a tips for an enjoyable cruise at Costa Victoria next week. Still writing now. Oh, that’s wonderful. Will definitely be looking out for your updates. Thank you so much. Really appreciate it ? This is awesome… keep up the good work guys!! Hello, can I know the songs that were played during all our dance along party with the animation team? I will be going next sat, and i have a few questions, hope you can help. How do I pay for the service charges? Can I pay for my family also (in other cabins)? Is there a kettle onboard as I will be bringing along my baby. I bought a third party travel insurance (as recommend by my agent), so I just print out and show to the crew during embarkation? ours came with service charge prepaid so i didnt have to pay onboard. I assume they will issue u an invoice at the end of the cruise if service charges are required. register your credit card on day 1 of boarding the ship as advised at tip no. 7 here: http://www.passportchop.com/cruise/costa-victoria-cruise-experience-tips/ so you need not queue. I think you can register the same credit card with a few costa cards. Thank you so much for a detailed description on your experience with Costa Victoria. I was very much less confused and more prepared since I have not taken a cruise with my family. It wasn’t as bad as described. My cabin is clean. Food is edible. Dining ala carte would be better than dining buffet on 11th floor.On the last night of dining ala carte (Sinfornia), we had lobster and tenderloin.The waiters were fabulous, which I cannot find in Singapore :). It’s a smaller vessel. So, don’t compare with the mega 5000 passenger ships. 1.There is kettle in normal cabin.Toiletries given upon request. 2. Sign up with My Costa Club and you can get a free 1.5litre of mineral water/per cabin/per cruise. 3. If we do not spend any money on board, they do allow passengers to pay by cash or credit card one night before checking out. I picked Costa Victoria because their port calls or Melaka and Penang are in the mornings, where most shops are open. For SGD350/pax inner cabin(inclusive of port charges,exclusive of gratuities), it’s worth it. 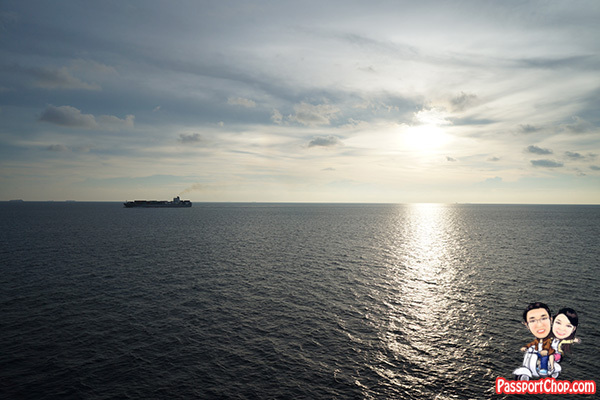 Hi,I am goung for a criuse tmr, may I know if there is dinner for day 1 as the ship depart at 10pm? HI, your blog has been very helpful. We are going for cruise tmr and we have a big group of young children. May I ask if we have to pay for all our water and beverages on board (non-alcohol)? There’s no mineral water in the room? And if the drinks & beverages (water, coffee, tea, soft drink) during every meals are free or we have to pay for it? No need to pay for water – no mineral water in room – you will have to go to the water dispensers to get your water. Water is free during meals but soft drinks – you need to buy a soft drink package i think. Can share your Gala dinner experience? (If u still rmb) Dress code and food? Dress code is formal (but they are quite relaxed about the definition of formal – they did not turn away anyone dressed in Tshirt and jeans – I did not see anyone attending the Gala Dinner in shorts/bermudas though). Hello! Thanks for your review! Can I check what are the Italian songs that were played during the pool performances? Hi, I’m going to this cruise this weekend, *excited* however i need to ask you something. On the last day, the cruise will arrived in Singapore at 2pm, is this mean the check out also will be done at 2pm? as we will catch plan at 7.30pm – i wondering whether it will be sufficient time, as most of the passengers in my group is elderly. it doesnt mean you will get off the ship at 2pm. there is a queuing system in place to control the crowd leaving the ship. so if you need your group to leave the ship early to catch a plane, i suggest you let the cruise operators know early. hi rossi – i have not done up the phuket post. Basically the summary is the tender boat will drop you off at a beach quite far away from Patong Beach which is the happening part of town. Bargain hard with one of the tuk tuk waiting at the pier where cruise guests will drop off and ask them to take you to Patong where there are shopping malls, restaurants, bars and souvenir shops. We are leaving this 22nd. Just a query.Can we bring in our own drinks like redbull n packet drinks? Apart from patong beach,where else can we shop? they dont check your bags when you board. 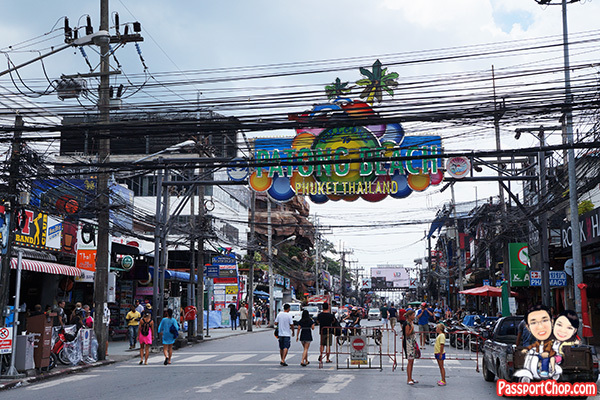 I only know of patong beach for the phuket stopover. anyway you dont have a lot of time during this stopover. You can also consider taking one of their cruise shore excursion or organise your own with a travel operator in Phuket. Can we bring our own wine or liqour in luggage or will they confiscate? i dont know about that. since these are rather bulky items, it might be quite risky. i dont recommend doing so. Thanks for sharing your experience/review, I’ve a few questions, hoping u can help to answer them. Thank u in advance. I’ve booked a cruise with Costa Victoria this Dec.
2) Are water dispensers easily accessible? 3) From your review, I presume u didn’t make use of the facilities for kids. Any sharing on this? 4) Where do they anchor at Langkawi? Is it convenient to travel around? There are towels that are changed daily. Water can be taken from the poolside bar and restaurants but that means you will need to take a lift from your cabins. I didnt make use of the facilities for kids. The staff are not all Italians – they have staff of different nationalities. The issue is more if childcare services are available onboard and if they are, are they open during the stopovers. I think those are not childcare services but more like a kids’ club where they keep them entertained with music and some performances (but only for a very short duration). Thank you for the tour details, I’ll be travelling soon & this is really helpful. Appreciate sharing ! !